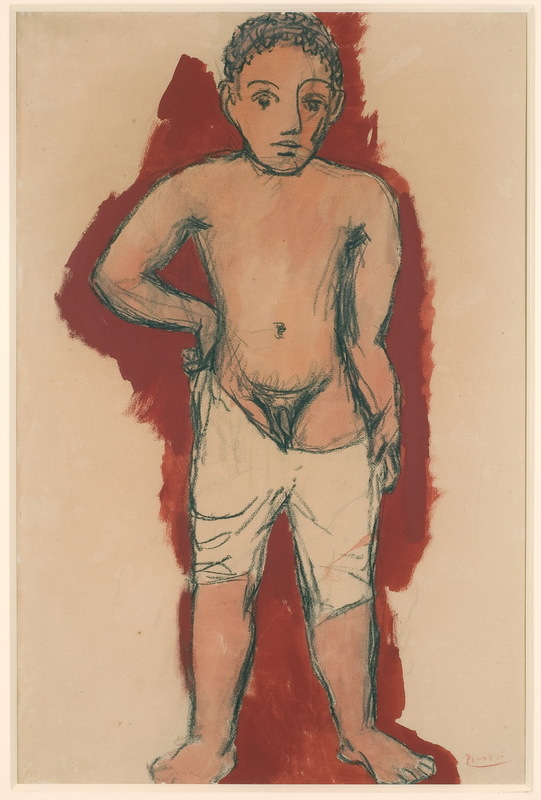 Brice bought his first work of art, a gouache by Pablo Picasso entitled Child in Drawers, 1906, with his savings when he was thirteen-years-old. 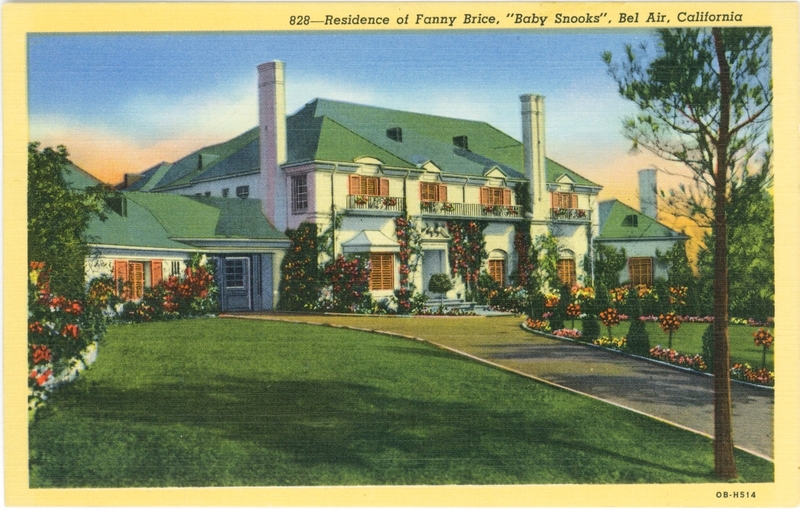 Following her divorce from Rose, Fanny moved with Brice and his sister to Beverly Hills and began her radio career. 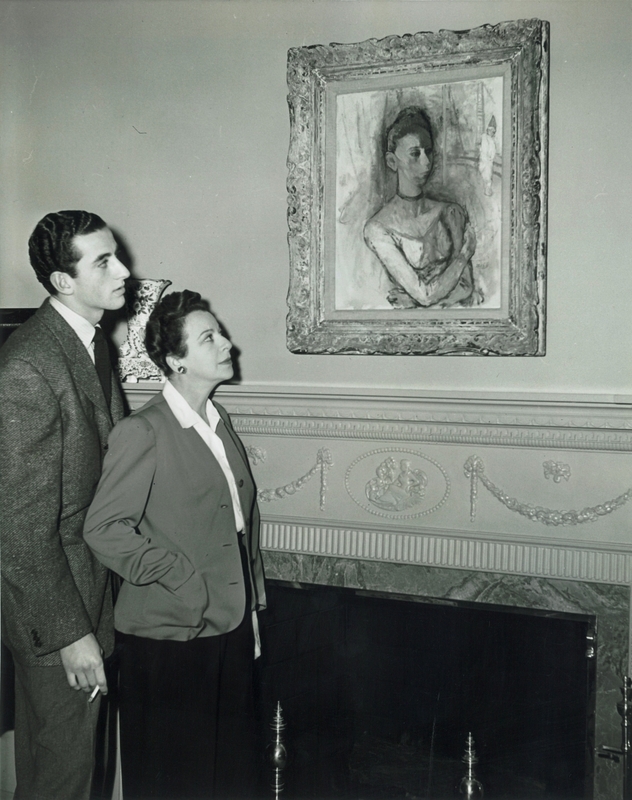 Fanny again collected an engaging circle of friends, professionals in radio and film, many of whom were building art collections that included new, modern pieces. Brice enrolled in Cumnock School for Expression, an experimental, arts-focused junior college in Los Angeles. It was there where he met and dated Shirley Bardeen, whom he later married. 24 1/2 x 16 1/2 in. 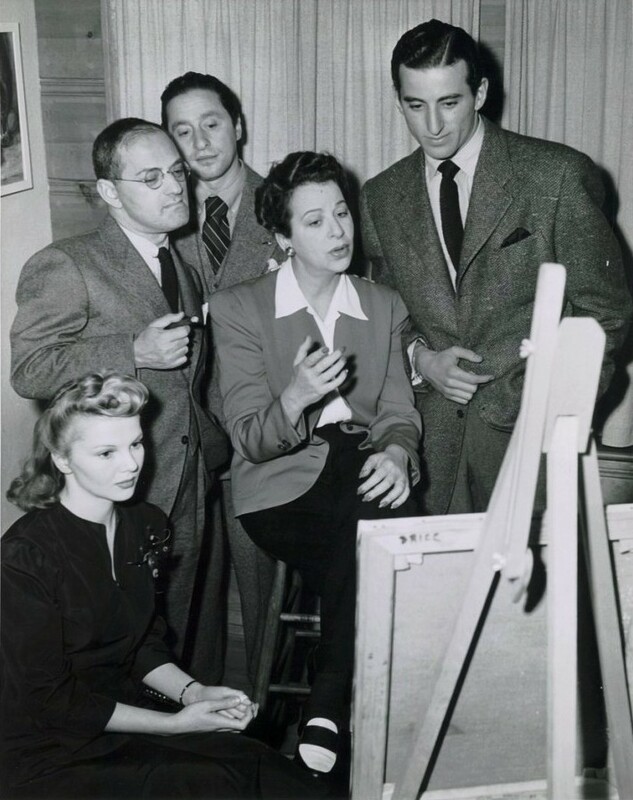 middle right: Anya Arlen, Ira Gershwin, Harold Arlen, Fanny, and William with one of his paintings.